It’s Piper! The little one here! I’ve been desperate to get on the blog since I joined the household, but the other one would not let me near the computer! It’s hard being a little sister. I’m frisky and my older sister Sasha is well…. 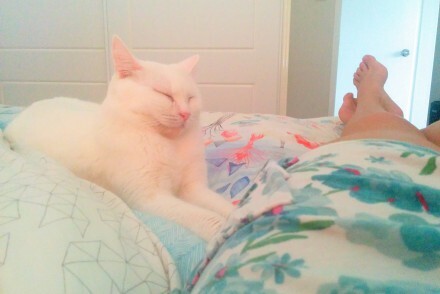 sleepy and posh. She spends a lot of time grooming herself and looking exasperated staring at me to go away, (like she’s not sure why I’m still here six months later). Anyway, I digress from talking about my new toy. 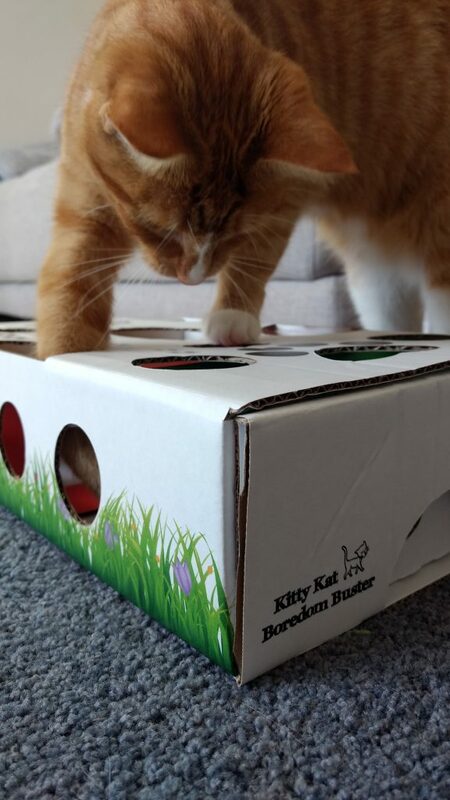 The bonus of being rescued into the household of The Crazy Cat Lady means that she gets sent things from her furriends on the interweb for us to play with. This time, it was ME that got a gift! 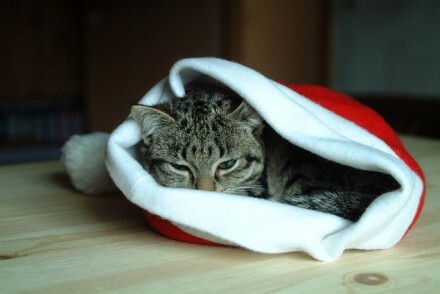 The lovely Julie is a very good cat servant, and has been busy creating things for her fur babies. 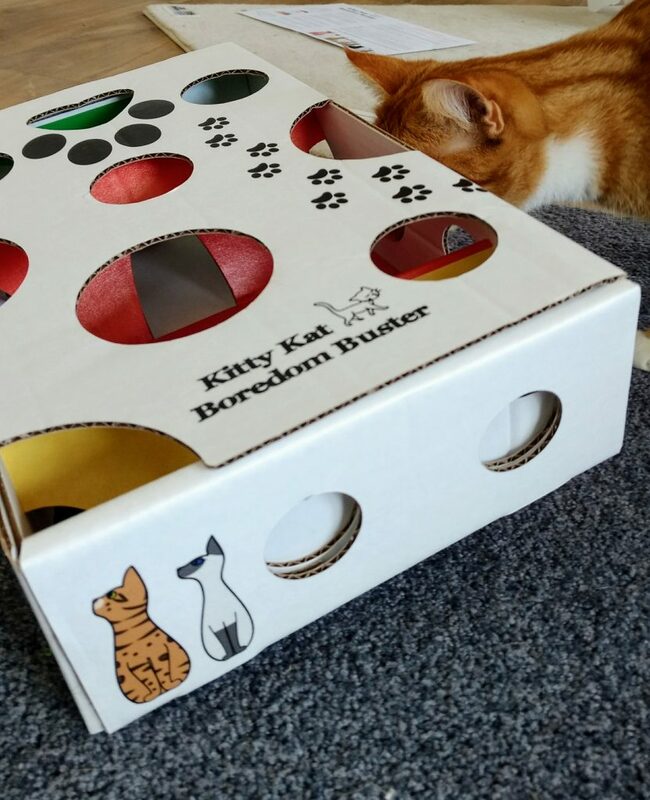 She sent me her invention, the Kitty Kat Boredom Buster to try! I LOVE to play. I was so excited before it arrived. I’ve got electric bugs and springs and tunnels and all sorts of toys hidden around the house to trip the humans over. Anyway, the day it arrived I could hardly contain myself! I helped unpack the box of course. 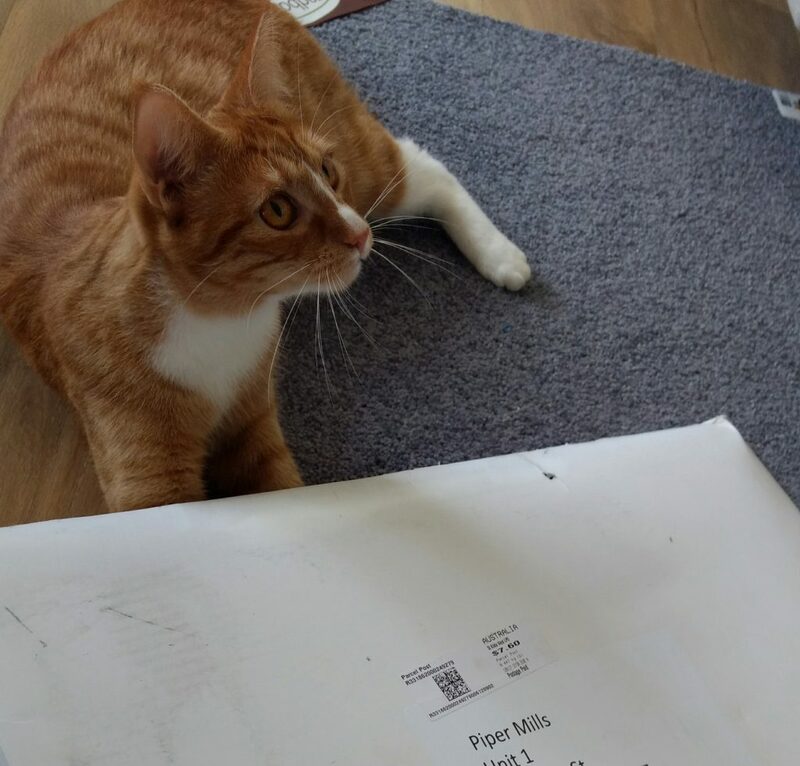 Even though my human is somewhat technically challenged, The Kitty Kat Boredom Buster was easy to assemble with instructions for said human and my close supppurrvision. In two to three minutes, you have a magical puzzle box to play with. The middle section is adjustable depending on how dumb a cat you are, and how hard you want to work to get things out. 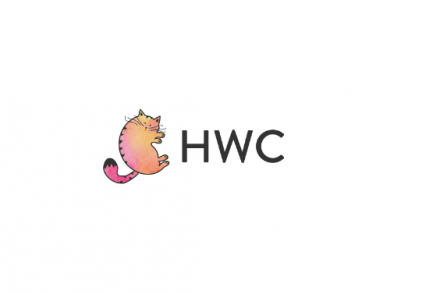 Once it’s up, get your human to insert whatever you fancy that day: toy, mouse, food or hair elastic (sadly I have been banned from these after my recent trip to the vet), and then the challenge is to get it meowt as soon as possible and serve it back to your human for another round. I’m quite a smart cat, so we put them on the most technical settings. You will see that I gave it a good rough and tumble, and the thing is pretty durable (unless you’re a little on the overweight side.) 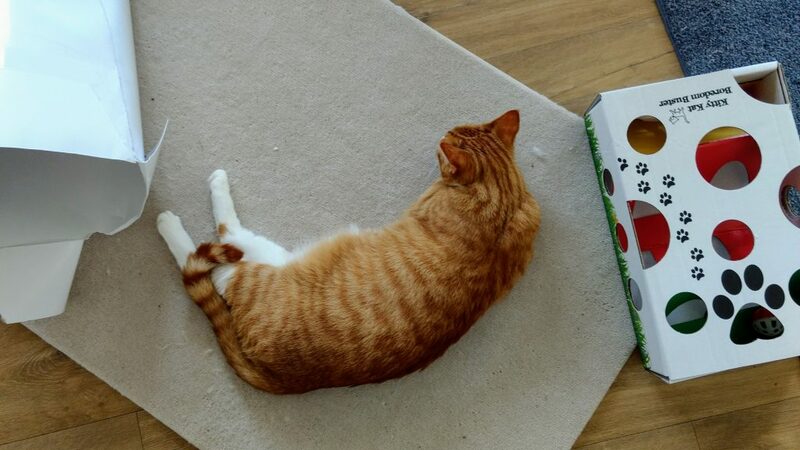 Here is me live in action getting out my green mouse! I was so smart, I got the ball, the mouse and the spring out of it. I even used extreme roll and push nose methods. I bet you’re all jealous now. But don’t worry because you can have one too! 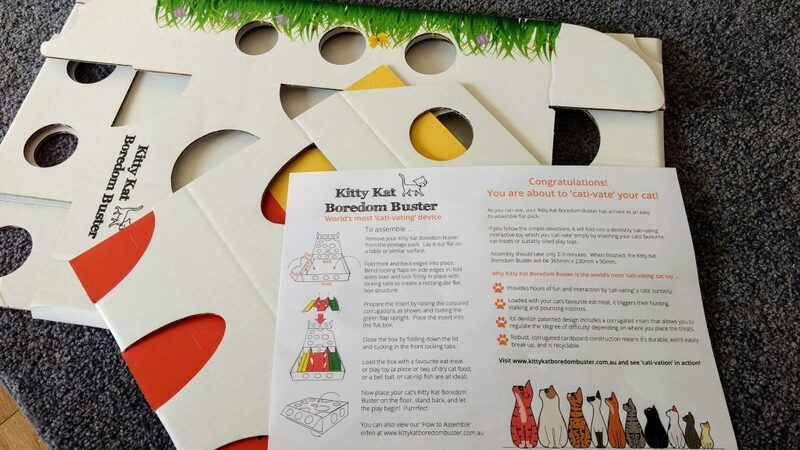 The lovely Julie from Kitty Kat Boredom Buster, has ONE Boredom Buster for one lovely kitty kat. But I get to be the boss and choose who. Because this is my post. So to win you have to do two simple things. 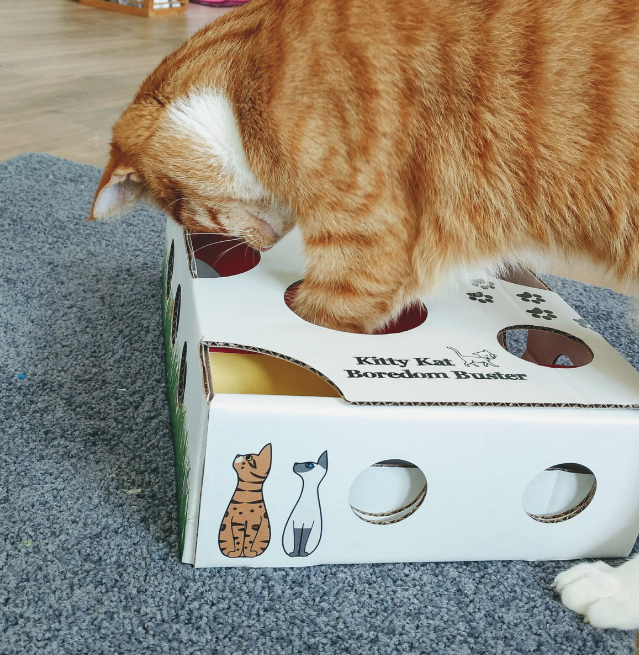 Share this post about the Kitty Kat Boredom Buster to your feline furriends. You have until 9am Monday 6th February to enter to win! 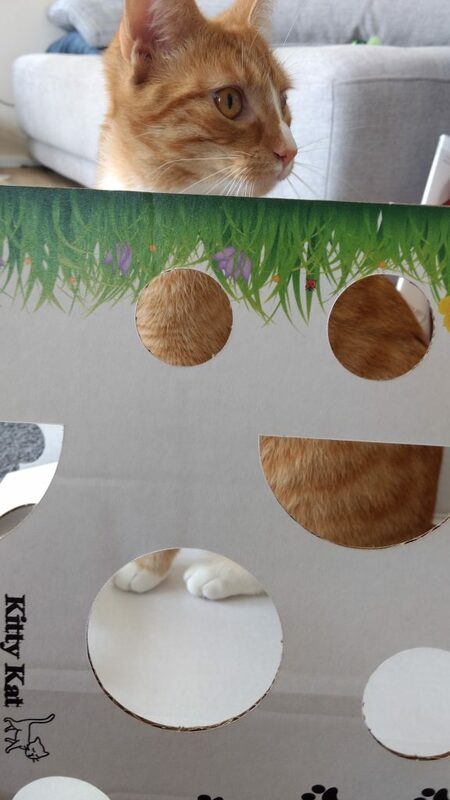 Meow for now cause I’m all partied out between the fun I had with the box and the bag…and good luck! 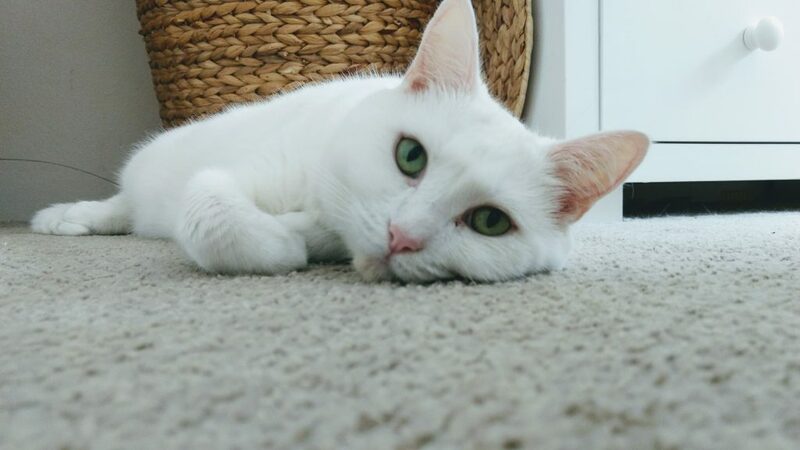 Find out about The Kitty Kat Boredom Buster Here….It’s a great purresent!